For many people, the creative side of their personalities is indulged in only when everything else has been attended to. Being able to express one’s feelings through art is very important so here’s a perfect opportunity to do just that. Art Week in the Badlands offers you a great way to leave your everyday lives behind and to renew your energy as you focus on your art. Beginning on Sunday evening, we will meet our host, artist Jim Davies, to learn details about the week’s events and meet with the group. 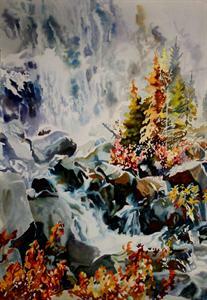 Jim is a landscape artist with more than 40 years of painting experience. His work is represented in important collections throughout Canada. He has taught for the University of Alberta’s Fine Arts certificate program for 20+ years and has conducted workshops across the country. Jim’s belief that students progress at their own pace makes his workshops valuable for the novice and experienced artist alike. 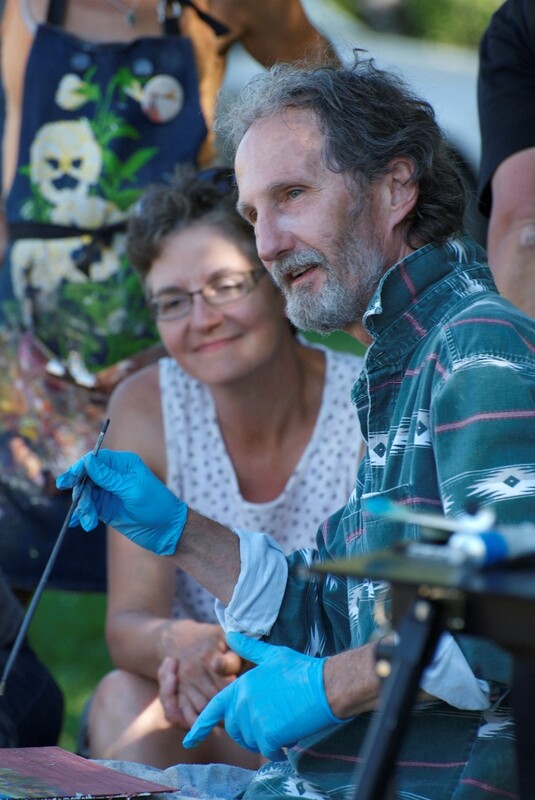 He is an avid hiker and loves painting en plein air. The area around Drumheller has been a favorite subject of his for more than twenty years so he’s the perfect guide for this week’s events. On Monday we will meet at the Tyrell Museum to paint some of the amazing landscapes in the area. Admittance to the Tyrell Museum is included as well. 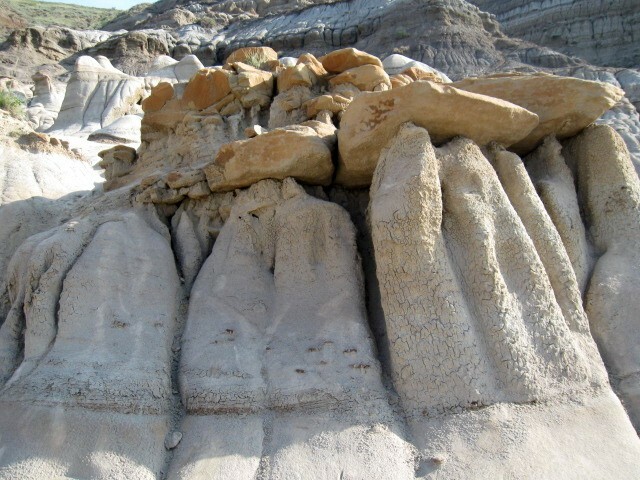 On Tuesday, we will meet at the Hoodoos to paint the alien-looking scenery. A tour of the Seven Wonders of the Badlands is included in the evening as part of the events. On Wednesday we all pack up to spend a day at Dry Island Buffalo Jump Canyon, a wooded paradise that is very different from what you would expect around this area. Well-known watercolorist, and Faculty of Extension instructor, Jerry Heine, will share the techniques he uses to create his amazing watercolour landscapes. (Click the link above to see some of Jerry’s work). The busy day is followed by a cook-out, live entertainment and a campfire. Thursday is a flexible day – spend more time learning technique with Jerry or paint what ever suits you. Drumheller offers the painter lots of different subjects to paint: old buildings, rural areas, and flower displays. If you prefer, indulge in some retail therapy! There are clothing boutiques, art galleries and plenty of restaurants to choose from. On Thursday evening, Johanne Yakula, also a Faculty of Extension instructor at the University of Alberta, (and blogger) will share stories from the history of landscape painting. She is an author, speaker, and is passionate about the history of just about anything! (Check elsewhere in this blog to see her articles on antiques, old houses and design.) Coffee and sweets included. 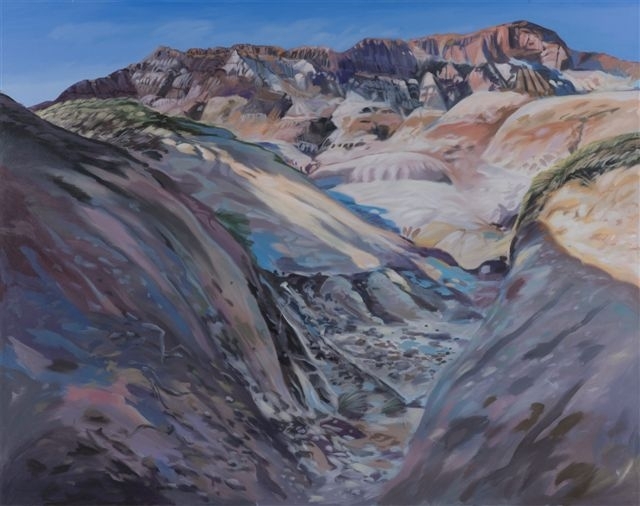 On Friday the group meets at Horsethief Canyon to paint until noon. This special place has been often referred to as a mini Grand Canyon. Demos, group critiques and daily handouts are all a part of this amazing week’s events at Art Week 2014. It’s a week to focus on your art, make new friends, and learn new techniques. We have a couple of your students staying at our Inn this coming week. Please let us know the next time you are planning an art workshop in our area. We would love to offer a group rate and have our entire Inn full of artists who can spend their leisure time comparing notes, and stories in our comfortable surroundings. Patrice Wolf proprietor Heartwood Inn and Spa. That would be next year in August. Thanks for the offer. Please feel free to email me in April or May. This sounds like so much fun. It was great to read about too even though it’s not something that I’d be able to attend, it was very nice to read about and imagine being there. Thanks for the nice post! Yes, I was on this expedition two times as a student and loved every minute of it. I really enjoyed getting away from it all, and spending time with people who are not bored when talking about art. You are artistic as well (from your own posts) so I can see why you’d really enjoy this. Jim has been holding this event for something like 11 years. He has some of the same people returning every year – it’s time they set aside for the feeding of their soul. Never say never – perhaps you can plan to attend next year!